This video can be viewed at fullscreen. ImageMapper was originally developed by Tsooj Media. This latest version modernises the user interface. The stack works much the same as before. A couple of new features extend what you can do with ImageMapper. Possible alternatives to ImageMapper include the free HotSpots stack and the premium HotSpotsPro stack. A stack like ImageMapper could be used to create an interesting format of website navigation. Either links could be configured to open on other webpages or you could use anchors to scroll to other places in the same page. Support for custom attributes means you could potentially make use of addon lightbox effects too. Preview your webpage. You should see the areas show over three of the corresponding shapes, on mouseover. Select the main stack and disable the Show Coordinate Inspector option. Preview the page to see your functioning image map. Image map areas can be added or removed at any time, from within edit mode. You can also change the order of areas by clicking and dragging them into a revised order. End users are able to tab between image map areas and press the 'return' key on their keyboard to open the links; so it is fairly important the areas are setup in a good running order. Normally conventional image maps (like ImageMapper) do not display anything over the image until you come to mouseover the image. This can pose some usability problems and issues on devices that don't support mouse input (like smartphones and tablets). Many expert web developers recommend that you caption the image map to inform users they can mouseover or tap parts of the image. Free stacks like RottenApple might be useful to conditionally display such messages on handheld devices. It might be that you've previously built an image map with an older tool, like Map Design or an online tool. Sometimes it might be feasible to reuse these generated maps in ImageMapper. To do so, switch the Data Source setting to Source Code. Remove opening and closing <map> tags from your code. Paste the <area> tags into the box shown in edit mode. An existing image can be applied in the settings too. This does not always work with all image maps and we do not provide free support for maps created with other addons or plugins. However the ImageMapper stack is your best chance of simultaneously making an older image map responsive and getting it embedded within Stacks. It is worth noting that the format of the coordinates is slightly different, depending on the shape of the area you select to use. 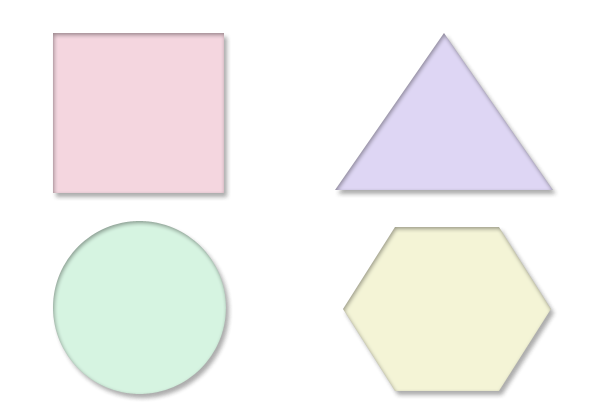 ImageMapper supports circles, rectangles and polygons. Surprisingly, Polygons are easiest to generate with the inspector tool; even though their point coordinate markup is more extensive. However you may want to deviate and use circles or rectangles for particular areas. The following information might help you understand how coordinates in image maps work; depending on the shape you are working with. In this instance, the circle centre is 140px from the left, 308px down from the top, and the circle has an internal radius of 86px. In this instance, the first corner of the area is 395px from the left, 227px down from the top. Each of the other 'pairs' denotes another corner. We can determine this polygonal area has 6 sides. In this instance, the first corner of the area is 53px from the left, 31px down from the top. The opposing corner is 224px from the left and 194px down from the top. Using conventional HTML image map markup, ImageMapper can be used to generate a simple image map for navigation. ImageMapper can use a base image dragged and dropped into RapidWeaver or a warehoused image. A clever 'coordinate inspector' allows you to quickly plot your map areas in preview mode, and use the generated coordinates within the stack settings. Alternatively a 'source code' mode lets you import an existing image map. ImageMapper makes your image map responsive and supports basic mouseover effects.